Record 1.5 gets Neptune "vocal toolbox"
Neptune: will it sound out of this world? 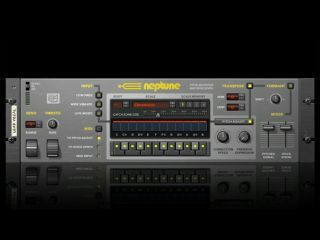 Users of Propellerhead's Record who've bemoaned the fact that they don't have access to Auto-Tune (Record doesn't support plug-ins) can celebrate the fact that they'll soon be getting their very own vocal processing tool in the shape of Neptune. Part of the Record 1.5 update, this is an "advanced pitch adjuster, audio transposer and voice synth". In other words, it can pull out-of-tune vocal takes into line, change the key of existing audio material and process your vocals in real-time (you can 'play into it' from your MIDI keyboard). Oh, and in case you were wondering: yes, you can get the classic Auto-Tune robotised vocal effect. Check out the video above for more: Propellerhead will be lifting the lid on another Reason 5/Record 1.45 feature tomorrow.